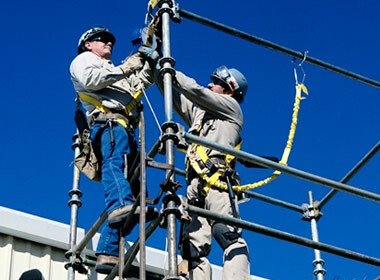 The Bureau of Labor Statistics’ Census of Fatal Occupational Injuries (CFOI) reported 54 fatalities occurred in the year 2009 resulting from incidents with workers using scaffolds (staging). An estimated 2.3 million construction workers, or 65% of the construction industry, work on scaffolds. Protecting these workers from scaffold-related accidents may prevent some of the 4,500 injuries and over 60 deaths every year (BLS), 2003 and 2004 data for the private sector), at a savings for American employers of $90 million in workdays saved. In a recent BLS study, 72% of workers injured in scaffold accidents attributed the accident either to the planking or support giving way, or to the employee slipping or being struck by a falling object. All of these accidents can be controlled by compliance with OSHA standards. A competent person is a necessity on every job site and is someone who has sufficient experience and/or knowledge to recognize scaffold hazards and correct unsafe conditions, and who has the ability to shut down the worksite until any hazards are corrected. The competent person should be the most knowledgeable person, in this case about scaffold safety, on site. OSHA Scaffolding User Training students will participate in workshops to reinforce concepts of safe scaffolding. Upon course completion students will have the ability to identify the types of scaffolds and their components, determine safe assembly, use, and disassembly and recognize common violations of OSHA standards. 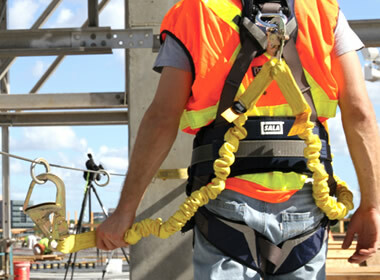 Fall protection training is an important part of a worker’s overall safety training. Identifying fall hazards and deciding how best to protect workers is the first step in reducing or eliminating fall hazards. Occupational fatalities caused by falls remain a serious public health problem. Any time a worker is at a height of four feet or more, or is working over dangerous equipment or machinery, the worker is at risk and needs to be protected. The proper fall protection training will go a long way in achieving this. Students will participate in workshops demonstrating the inspection and use of fall protection equipment, residential construction fall protection, training requirements, and developing a fall protection program. Upon course completion students will have the ability to assess compliance with the OSHA Fall Protection Standard, evaluate installed passive systems and fall arrest systems, and develop and implement fall protection plans.